Electrical panels are the home to electrical housing and electrical components. They are useful towards securing all the electrical components and provides for cost-effective reliability as well. They also provide for a well classified and neatly categorized substation from where you can control the functioning of many of the electrical components and circuits. Electrical panels can vary in their strength and size and may take the form of main breaker panel, the main lug panel and the sub panel. The electrical panel is also the place where the different breaker components and switches are located. 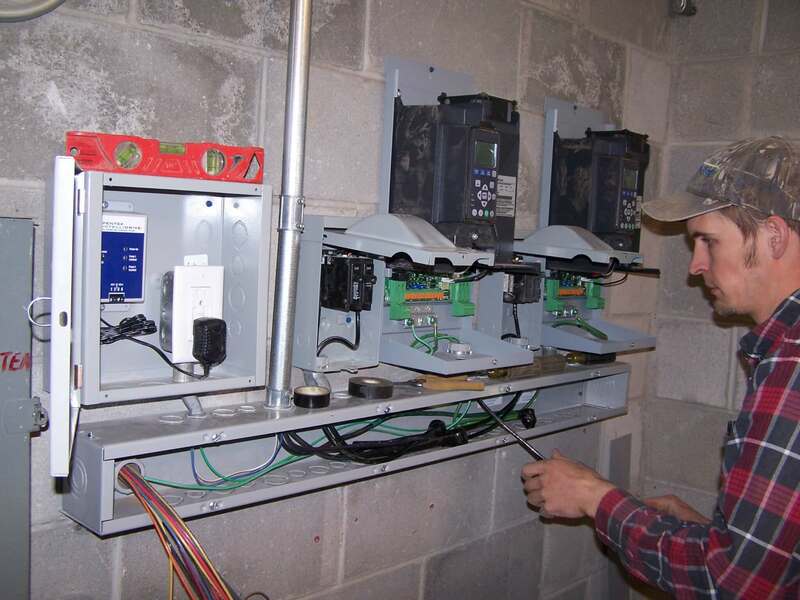 The new building electric codes require that the various Industrial and other establishments and buildings have these electrical motor control panels. There are many kinds of electrical panels available and sold today. You can choose the right one by considering aspects including the size of your electrical system, the extent of security you require, the working environment within which the electrical component and panel would be placed, and others. The variable frequency drive panel is usually used for placing the VFD motor and other components of the electrical systems, including reactors, circuit breaker, cooling units, and motor starters, among others. As the VFD motors have specific variable speed related requirements, these panels are used for the heavy duty or larger machines. This panel provides for best-in-class synchronization amongst the electrical components and motor, and also connects with all other kinds of DG sets so that no power failure instance occurs. Hence, power supply from many different sources is included and therefore the panel can prevent loss of operational time. These panels can provide power to many different modes and areas while generating electricity from a single source. These panels are used widely within the electrical, pharmaceutical, and other industries and may be adopted by both large and small-scale industries and enterprises. The AMF or the Automatic Mains Failure panel is also called as the Automatic Transfer Switch panel. An automatic switch allows the panel to switch over to the other assisting generators when a blackout or power failure occurs. In the absence of AMF panel, each generator needs to be operated individually and manually. This may cause loss of operational time, disruption of electrical equipment, component damage and other drawbacks. Apart from the major kinds of panels, there are other panels including the Relay Logic Panel, the AC Drive Panel, the Automation Panel, and others. The high-quality electrical panels do not require excessive maintenance and hence can function for a long time period without any extra cost. You can reach out to the best suppliers of electrical panels. They would offer free of cost advice to you regarding which panel should be best for your industry and operations. Proper selection is an important aspect. You should do some consultations, judge your own operating environment and then proceed to make a worthwhile purchase. The electrical panel is available in many different forms and sizes now and is suitable for electrical enclosures in many different kinds of buildings and establishments. They provide more security to all electrical components and parts and are fruitful towards effortless operations as well.